This recipe is from Hidalgo, a state in central Mexico, named after one of Mexico’s “Founding Fathers.” In this case, that is almost a literal reference: Don Miguel Gregorio Antonio Ignacio Hidalgo-Costilla y Gallaga Mandarte Villaseñor was a Catholic priest and one of the leaders of the Mexican War for Independence from Spain. While I wouldn’t call this soup “revolutionary,” I think it has become one of my favorite soups. 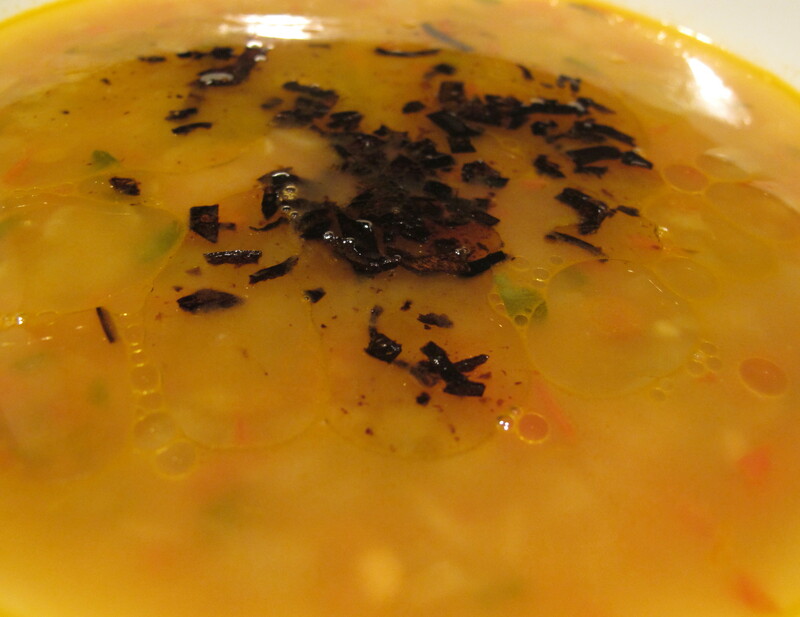 It is a simple soup but it really packs a deep, subtle flavor. Rinse the dried beans well, removing any loose piece of skin that might remain. In a large pot, heat the oil and fry the beans, together with the onion and garlic until the beans are slightly brown. 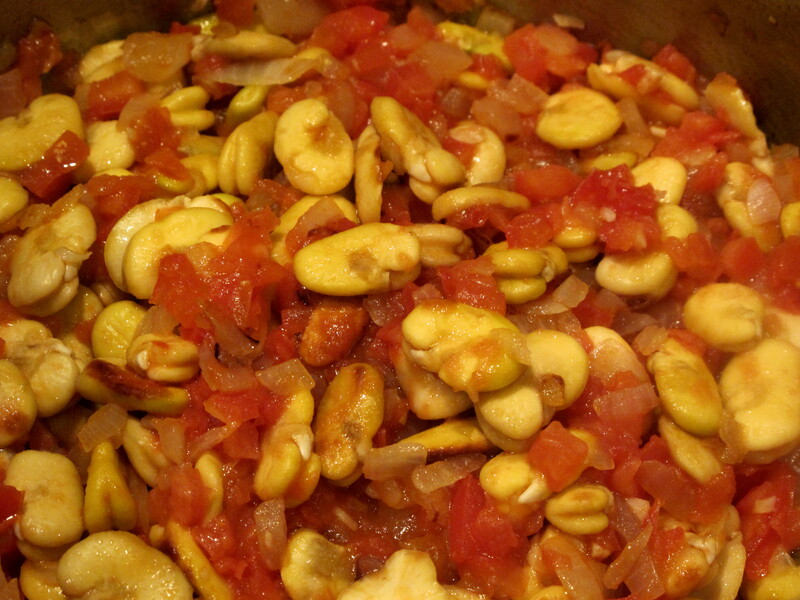 Add the tomatoes and fry over high heat until the mixture is almost dry (about 3 minutes). Add the water, cilantro and salt and let the soup cook over low heat until the bean are very soft and disintegrate easily (about 3 hours depending on your beans). While the soup is simmering, cut off the stems, clean and remove the seeds from the chiles. Chop the chiles roughly into small pieces and set aside. 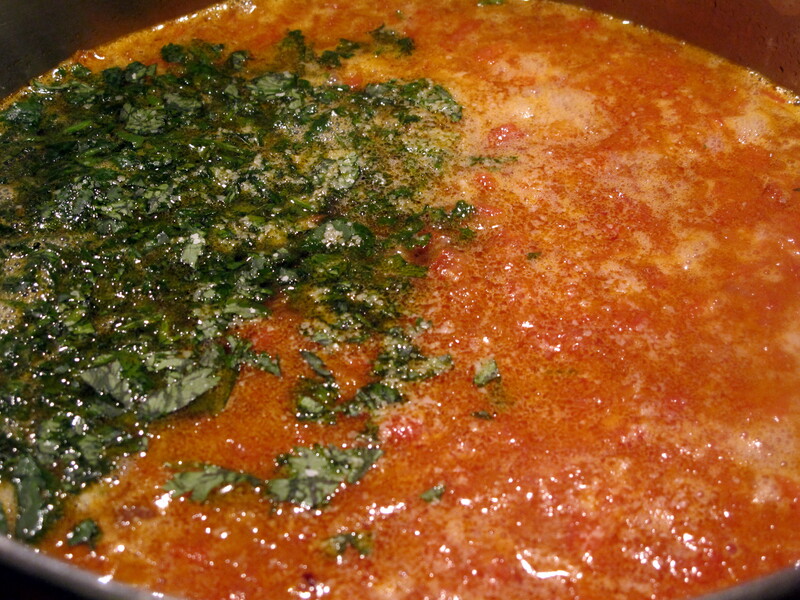 In a small saucepan, heat 2 tablespoons of oil over medium-high heat. 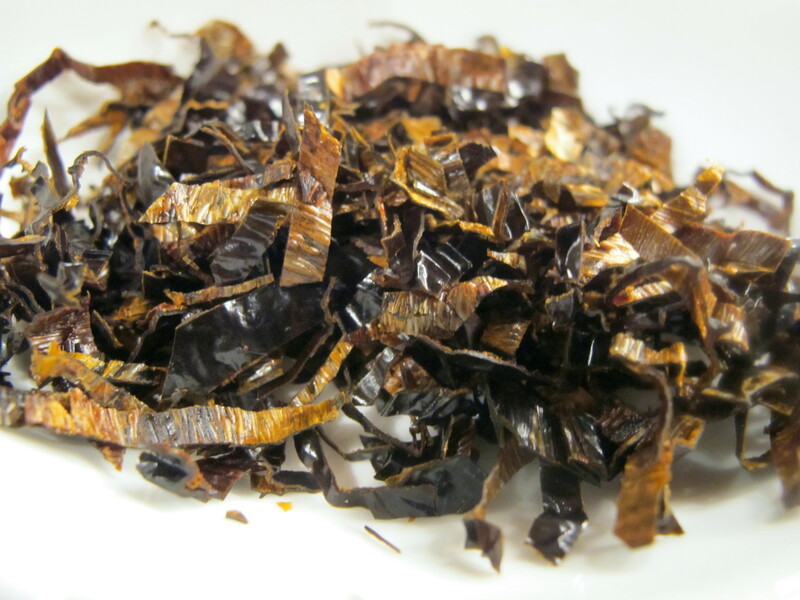 Add the chopped dried chiles and fry for 20 – 30 seconds, stirring quickly to keep them from burning. Remove from the heat and drain the chiles on paper towels. 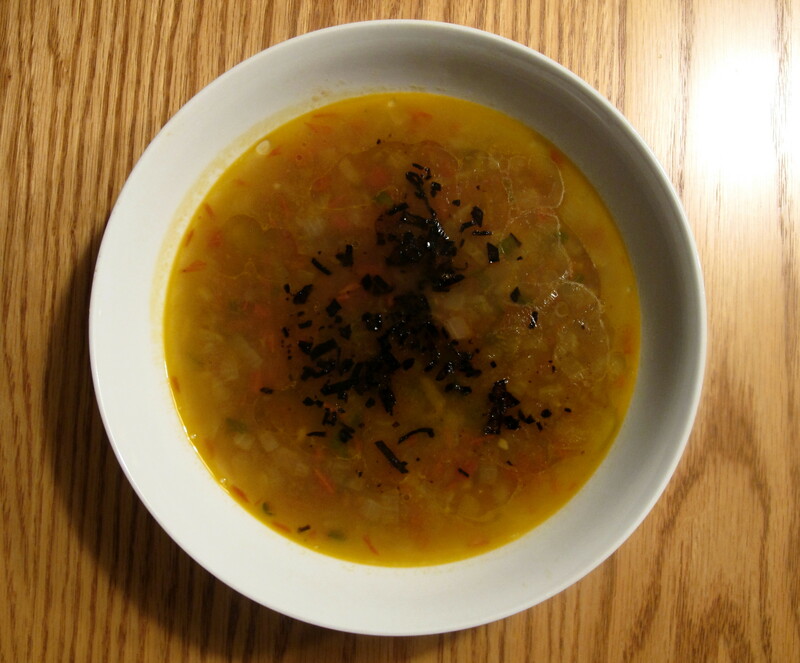 When the soup is ready, serve in a bowl topped with some olive oil and some crumbled pasilla chile on top. 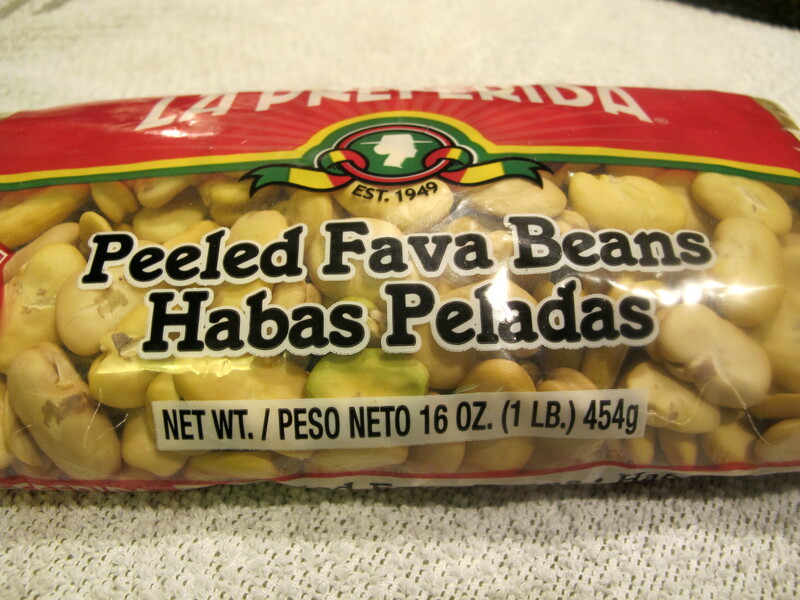 Make sure to use dried, peeled yellow fava beans. This is the kind I used.